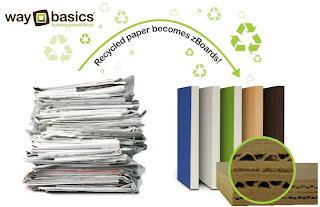 Susan's Disney Family: Way Basics Eco-Friendly Bookshelf, a great addition to any room. 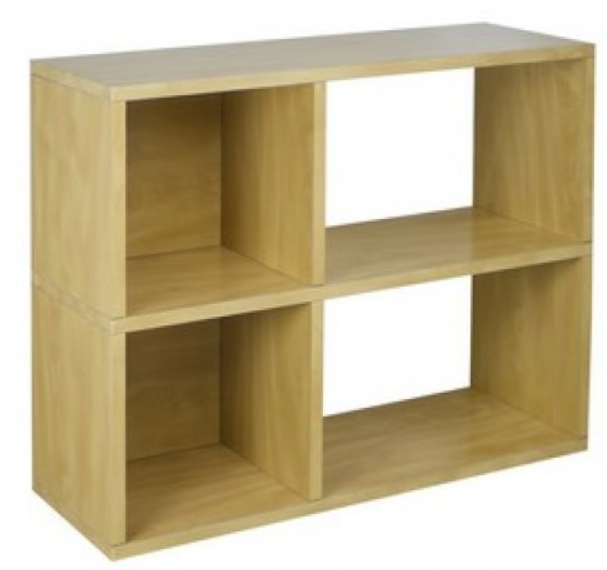 Way Basics Eco-Friendly Bookshelf, a great addition to any room. 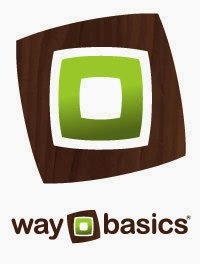 Way Basics is good, practical, simplicity. Our products are easy to assemble, simple and timeless in design, and practical for any purpose in your life. We care for you and our environment and sustainably make our products from zBoard, a recycled paperboard that's just as strong as particle board, yet 62% lighter! To assemble our zBoard storage products, simply peel, stick, done! Tool free and hardware free. All our products are formaldehyde free and VOC free so it's safe for your family and our environment. Exterior dimensions: Length 12" | Width 32.1" | Height: 24.8"
Interior (Small Sections) Depth 11.2" | Width 11.8" | Height 11.2"
Interior (Large Sections) Depth 12.0" | Width 17.9" | Height 11.2"
Sustainably made from zBoard recycled paper and completely recyclable. Water resistant. A little over nine years ago my daughter was given a canvas diaper organizer at my (her) baby shower, it served its purpose well but it's starting to show its age and isn't holding up that well, it's time to move on. And we upgraded from a canvas organizer that was constantly collapsing due to weight to a much nicer a more appropriate bookcase from Way Basics. The Chelsea bookcase is a simple and modern way to update the look of a room and add storage and organization all at the same time. I've said it before that our house is small and room is a premium so being able to get my daughters ever expanding book collection off the floor and into something that looks great is a wonderful thing. 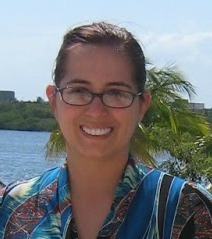 The Chelsea has to be put together and again as I've said here before my husband isn't Mr. Handy, he's far from it, but he was able to put together the Chelsea in I'm not kidding a matter of minutes. I think it took longer to get everything out of the box than it did to put it all together! The Chelsea is very light weight and is easy to move around or carry up a flight of stairs, but don't let the light weight fool you the Chelsea is strong. We've loaded up the Chelsea with books, dolls, and other assorted items like hair tiebacks and clips and blankets. The Chelsea was a godsend to us, our old canvas storage wrack before was old and couldn't handle the weight of what we needed to keep in it and we were constantly having to pick up everything that would fall off of it when it would collapse. Being made out of recycled paper the Chelsea is also environmentally helpful as well, and it's water proof so if you're clumsy and spill prone like my daughter no worries the Chelsea can stand up to what you spill on it. If you need to freshen up a room or rooms Way Basics has what you need with a full selection of modern and sleek storage options that come in a variety of sizes and configurations and a variety of colors like natural, black, white, green and orange. So they'll have what you need and in a color or colors that will work with the space you're looking to spruce up. I would recommend a Way Basics bookshelf. It is easy to assemble, and inexpensive, a great way to organize or display items, you will love it. The bookshelves come in a rainbow of colors, so if the light color is not your thing they have many other colors for you to choose from. You can purchase this handy easy to assemble book shelf on the Waybasics website. Disclosure: The reviews and or opinions on this blog are my own opinions . I received a bookshelf to review. No monitory compensation was received. I was not required to write a positive review. Your experience may differ. The opinions I have expressed are my own I am disclosing this in accordance with the Federal Trade Commissions 16 CFR Part 255: Guides Concerning the Use of Endorsement and Testimonials in Advertising . Very good concept and good looking. But I want a picture of the bookshelf in use by your daughter. Seriously the best place ever! I was moving all weekend - even got there late on Saturday and they still let me in! Must have seen my desperation. Highly recommend, great staff too. Looks nice and sturdy! I love shorter book shelves. Oh my goodness, I am in LOVE with that bookshelf! And that is even cooler that it is from recycled material! I love it! How neat! From the first glance you can't even tell that it's not regular wood. Looks really nice especially for being made from recycled materials. i love that its made of recyclable materials. it looks nice too!